Bulk Glitters is offering Glitter My World brand fine craft glitters. This glitter is called Random Cut due to its uneven edges and shape. The glitter offers a beautiful "snow look" and is perfect for holiday decorations! 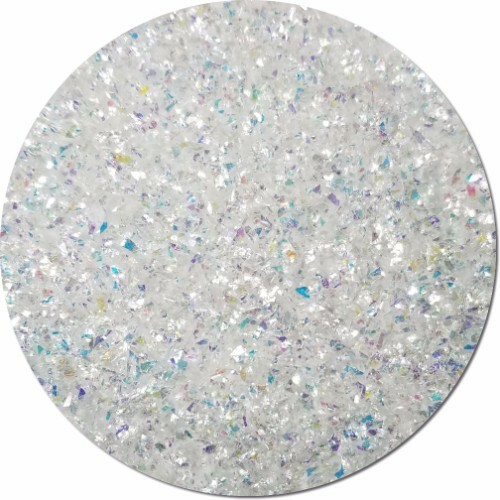 It is a clear glitter with an iridescent finish and it sparkles beautifully in the light.